Host Your Own Mini-Camp featuring the Impact Training System & Staff anywhere in the world. All of the great Impact training brought to you. Able to minimize travel expenses and international hassle. Learn how your equipment can be used to train. Players, coaches, parents and staff can be involved. Wide variety of clinics and training options for every level. Most experience in the industry of training diverse groups. 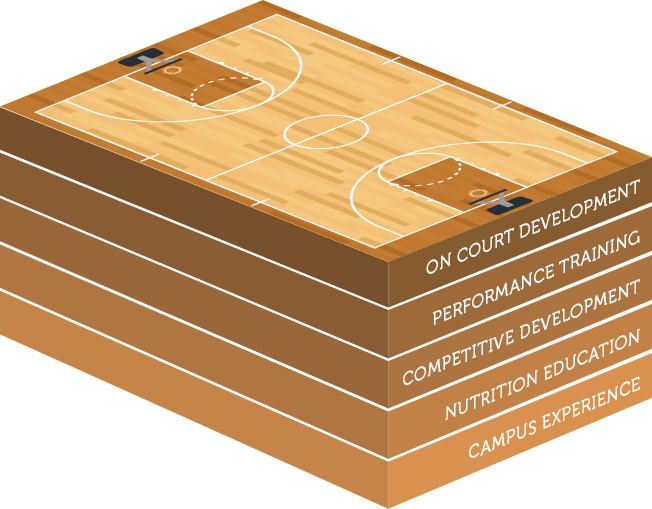 Incoming athletes can expect an intense combination of on-court skill development, movement specific performance training, video analysis, as well as nutrition counseling throughout training camp. Impact training focuses on improving player weaknesses, honing strengths, and conditioning athletes to perform at their peak throughout their season. Do want to bring your whole team to Las Vegas to train? Click here for details.